For SBS Automotive, who markets its products under the brand name NK, 2018 has been a very active year so far. The already established product ranges have been developed significantly with up to 100 new numbers every month – a pace that will continue unabated. Additionally, SBS Automotive has launched a number of new exciting product groups that all will be shown in hall 6.0 booth B53. The most significant introduction is the new range of steering and suspension parts, NK PRO. With NK PRO, SBS Automotive has dismantled, inspected, and rebuilt its steering and suspension parts and added enhanced materials and characteristics for the ultimate in reliability and long life. The NK PRO range is positioned as a supplement to the NK standard steering parts range and is especially engineered for extreme environments due to demanding roads, heavy loads or climatic conditions. The start range comprises ball joints, drop links, tie rod ends, control arms and suspension bushes. NK offers one of the widest brake disc ranges for the independent aftermarket. With a completely new range of bi-metallic brake discs, the program is further extended. 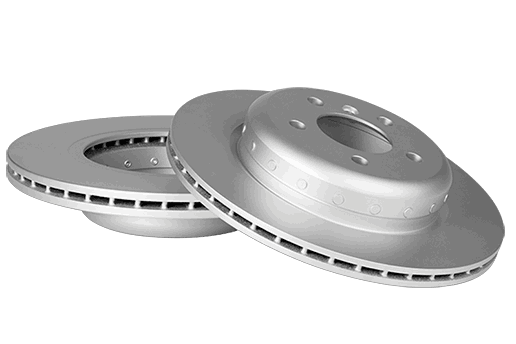 Bi-metallic discs are especially used for BMW models, and until now it has been difficult to find a comparable and affordable alternative to the original parts. NK’s bi-metallic discs have been tested and compared to the original parts by an approved test institute. The comparison shows that the NK discs on crucial parameters match the original parts. The initial range comprises 12 part numbers covering a variety of BMW car models “born” with this type of disc. Further, SBS Automotive presents a new ”niche” range of manual transmission cables, which is an add-on to the existing NK transmission parts range. The range, covering more than 15 mill. cars is developed for distributors with a demand for competitive alternatives to OES and premium aftermarket brands. Automechanika will also be the platform for a prelaunch of a complete new NK product area: Engine mounts. The initial range has around 600 reference numbers with a coverage of 30,000 car models and 310 mill. cars on the road, and comprises both full rubber and hydraulic mounts. For distributors on the independent aftermarket, efficient partnerships with reliable partners is paramount for success. SBS Automotive continuously pursues to be an attractive supplier and business partner and has for the NK brand defined a number of core values. These are expressed in a new NK presentation video that will be shown for the first time in Frankfurt. The aim is to make daily business as hassle-free as possible for NK customers, so they can concentrate on developing their businesses and profitability. Key words are partnerships, range availability, innovation, logistics, brand-building, data integration and last but not least quality. 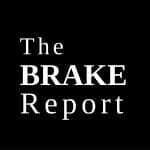 Examples of last-mentioned is NK’s general 5-year guarantee against defects in material and workmanship and a new brake pad wear guarantee on min. 35,000 km.